NET is used by Body-oriented practitioners to help physical problems that have an associated stress component. Stress can definitely be a factor in acute situations, and it is also often a factor in chronic and hard-to-resolve conditions. To determine if there's a stress-related component to a physical problem, the practitioner cross-checks or 2-points a suspected problem area to the Emotional Points (located on the forehead, halfway between the pupils and the natural hairline). During the correction phase of the NET process, patients are asked to hold a specific Meridian Access Point and the Emotional Points while focusing on the distressing event that's associated with their physical problem. At this point, a pulse correction or spinal correction can be used. Generally whatever we do as practitioners fits on one or more of the bases of the Home Run Formula. Practitioners often have a primary focus on one of the bases and will later address the other bases in the order they feel is best or refer as necessary. While emotions used to be thought of as only residing in the brain, it is now known that the molecular basis of emotions involve the physiology of 'information substances', which are comprised of neuropeptides, hormones, and other specialized information molecules that permeate the entire body — including our DNA. This dynamic has been well described and validated by Candace Pert, PhD, et. al. Visit http://candacepert.com/library/ for more works by Dr. Pert. We know through Pavlov's work that animals can be conditioned, and we also know that humans can be conditioned too. In addition, we know 'emotional conditioning' can also take place. While conditioning is normal under most situations, so is its counterpart, the natural elimination of a conditioned response — called 'extinction'. When we have an 'emotional conditioning', it is normal for the natural extinction process to take place. However, there are times when a conditioned emotional response does not fully extinguish, and this is where we can utilize NET to help the body complete the process. This dynamic has been scientifically validated by many, including Pavlov, et. al. Also visit https://www.ncbi.nlm.nih.gov/pmc/articles/PMC5390734/ for 'Social Pavlovian Conditioning'. Fire can be associated with abandoned, vulnerable, etc. Wood can be associated with anger, frustration, etc. Water can be associated with fear, dread, etc. Metal can be associated with grief, sadness, etc. Earth can be associated with worry, hopelessness, etc. Sigmund Freud's concept of 'repetition compulsion' notes that once we have been emotionally traumatized (and conditioned), we may unconsciously seek to repeat a similar trauma in the future. Essentially, what has traumatized an individual earlier in life, if unresolved, will often revisit them again in similar future circumstances. Visit https://www.ncbi.nlm.nih.gov/pmc/articles/PMC3181920/ for a related paper on the 'Neuroplasticity in Addictive Disorders'. It has been demonstrated that manual muscle testing can be used to access the physiology of the body, including the physiology of an emotional response, and that muscles — which initially test strong in the clear — will test as being inhibited (weak) when words are posed that have a 'charge' or stress-response associated with them. Visit https://www.ncbi.nlm.nih.gov/pmc/articles/PMC1847521/ for a paper 'On the Reliability and Validity of Manual Muscle Testing' by Cuthbert and Goodheart. Semantic response can be described as the psychological and physiological reaction to words and language and other symbols in relation to their meanings. For example, the physiology of the body can be reactive not only to the sight of a spider, but also to the word 'spider' or a picture of a spider. This dynamic has been validated by Monti, et. al., with non-congruent words testing as a physiologically weakened muscle response. Visit https://www.ncbi.nlm.nih.gov/pubmed/10407911/ for Monti's paper, 'Muscle Test Comparisons of Congruent and Incongruent Self-referential Statements'. Part I. NET uses a 'like-cures-like' principle in this way: When we ask patients to re-experience an emotion from their past (such as anger, fear, etc.) within the context of doing NET, we're asking them to go back and briefly relive a memory — and in reliving that memory they produce a feeling (with an associated physiological response), and that feeling is an important 'like-cures-like' component of the NET correction process. In developing NET, Dr. Scott Walker came to find that there were times when the body needed extra support to fully release a stressful issue. After more than 2 years of clinical investigations and testing various products (essential oils, herbs, remedies, vitamins, etc. ), he found that specific homeopathic remedies significantly helped the NET process where other products did not. Within the NET process, the practitioner uses the manual muscle test as a tool to help identify associated involuntary physiological responses. Just as it is normal to tap below the knee and have an involuntary Patellar Reflex response, similarly the muscle test can be used to evaluate an involuntary physiological response to various stimuli, such as physical contact or verbal stimuli. This type of testing has been scientifically validated and it is classified as a 'functional neurology' muscle test. It is important to note that when doing NET the muscle test is never used as a 'yes/no' or 'true/false' indicator, and it is never used to verify the past or say 'what is', nor is it ever used to predict the future or tell anyone what they should or shouldn't do. Another important note: Within the NET process, the muscle test is always considered to reflect the patient's EMOTIONAL REALITY, as it may or may not correspond with actual or historical reality. In fact, science has proven that pieces of our memories are often stored together with other associated memories, and later when a memory is recalled, we frequently add some of those other pieces that did not originally happen! Thus, the verbal cues within the NET process are purely used with the objective of determining the presence or absence of an involuntary physiological response to the semantics being utilized. In addition to verbal cues, the muscle test can also be used to determine if there is an involuntary physiological response connected with a physical touch or contact. 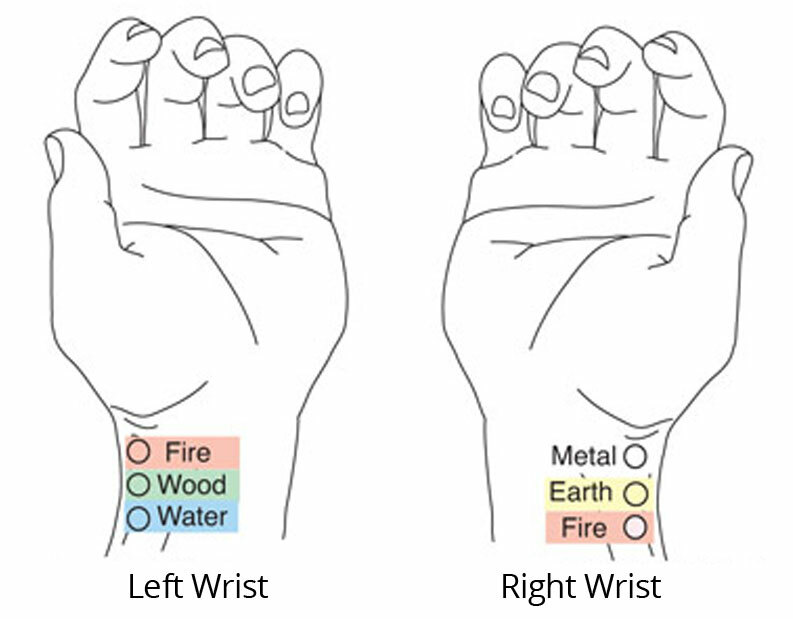 Examples include areas of the body that may be holding trauma or areas that have associated meridian points, such as an active acupressure pulse point on the wrist. The manual muscle test is an important component of the NET process. It's a valuable tool that helps the practitioner find unresolved trauma and stored patterns of stress that can interrupt the body's natural ability to heal itself. Once identified, NET helps connect the mind and body in a way that allows for the restoration of physical health and the release of stress-related issues. To address the many possible factors that can influence health, we use a Home Run Formula model as a way of generally categorizing areas that may need to be addressed. We know any problem can include multiple factors from any of the other bases, and it is important to address all factors related to one's health to reach our optimum health potential. 'Body-oriented' practitioners may often start with a 4th base (Physical/structure) approach and then check 1st base (Emotional/stress) when a stress-related component is suspected to be a factor. Of course, 2nd base (Toxic factors) can influence how we think and feel, and 3rd base (Nutrition) is clearly an essential piece for balanced mind and body health. For example, it is well known that there is a link between physiological and behavioral interactions related to stress, food intake and emotional state. Visit https://www.ncbi.nlm.nih.gov/pmc/articles/PMC4843770/ for a paper titled Stress Exposure, Food Intake, and Emotional State.